Mawlawi Abdul Rauf was one of five Taliban members to represent the group in the third round of unofficial peace talks with the Afghan government in Turkey in January 2018. Rauf told Afghanistan’s TOLOnews that the Taliban’s conditions had not changed since previous rounds of peace talks in 2017, but the Afghan government had since made some concessions. Rauf did not elaborate on the Taliban’s conditions, but he suggested that official peace talks would take place in the future, with more Taliban leaders present.Siyar Sirat, “Turkey Delegation ‘Represents All Taliban Factions,’” TOLOnews, January 14, 2018, http://www.tolonews.com/afghanistan/turkey-delegation-%E2%80%98represents-all-taliban-factions%E2%80%99; “Head of Taliban Delegation Mawlawi Abdul Rauf Talks On Turkey Peace Negotiations,” YouTube video, January 14, 2018, https://www.youtube.com/watch?v=g2EAXOyUB-c.
Rauf stated that the delegation represented all Taliban factions––including affiliated groups like Quetta Shura and the Haqqani network––willing to negotiate directly with the Afghan government, as opposed to those “who want to talk through Americans.”Siyar Sirat, “Turkey Delegation ‘Represents All Taliban Factions,’” TOLOnews, January 14, 2018, http://www.tolonews.com/afghanistan/turkey-delegation-%E2%80%98represents-all-taliban-factions%E2%80%99; “Head of Taliban Delegation Mawlawi Abdul Rauf Talks On Turkey Peace Negotiations,” YouTube video, January 14, 2018, https://www.youtube.com/watch?v=g2EAXOyUB-c. At the same time, however, Taliban spokesman Zabihullah Mujahid stated that the delegation in Turkey did not represent the group.Siyar Sirat, “Turkey Delegation ‘Represents All Taliban Factions,’” TOLOnews, January 14, 2018, http://www.tolonews.com/afghanistan/turkey-delegation-%E2%80%98represents-all-taliban-factions%E2%80%99; Ayaz Gul, “Taliban Denies Attending Afghan Peace Talks in Turkey,” Voice of America, January 14, 2018, https://www.voanews.com/a/taliban-denies-attending-afghan-peace-talks-in-turkey/4207176.html. 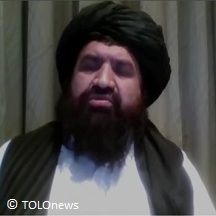 Mawlawi Abdul Rauf was one of five Taliban members to represent the group in the third round of unofficial peace talks with the Afghan government in Turkey in January 2018. “We represent the overall Taliban (members) of the Islamic emirate expect [sic] some of individuals who are not willing to opt for intra-Afghan peace talks and who want to talk through Americans.”Siyar Sirat, “Turkey Delegation ‘Represents All Taliban Factions,’” TOLOnews, January 14, 2018, http://www.tolonews.com/afghanistan/turkey-delegation-%E2%80%98represents-all-taliban-factions%E2%80%99.